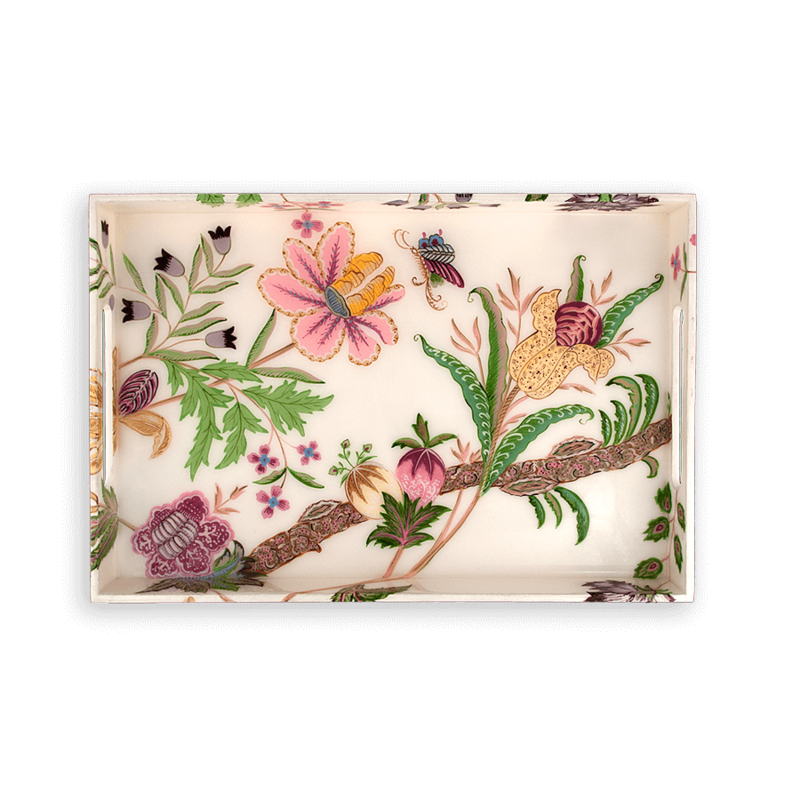 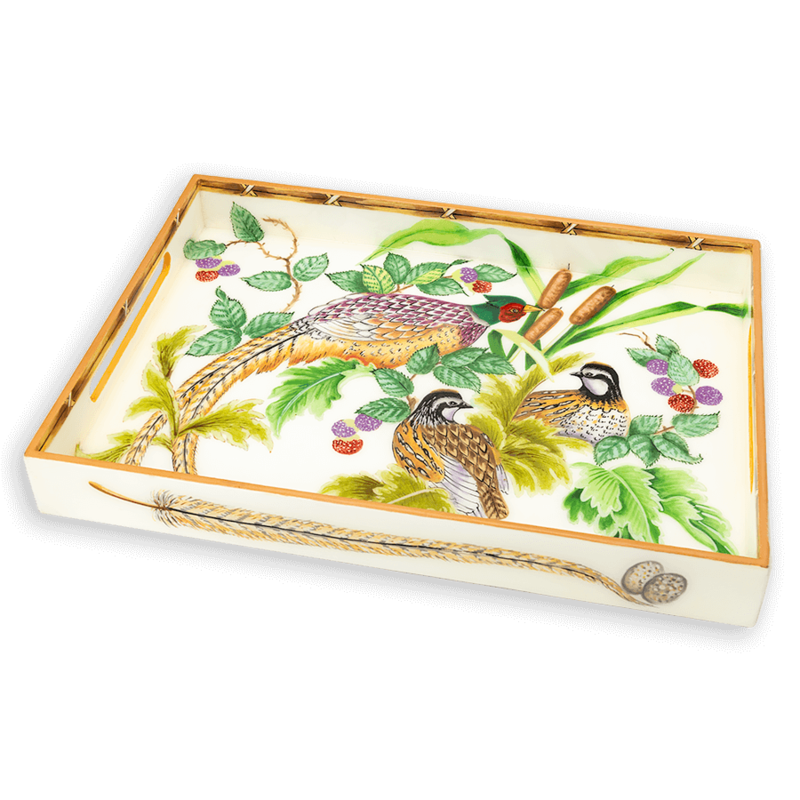 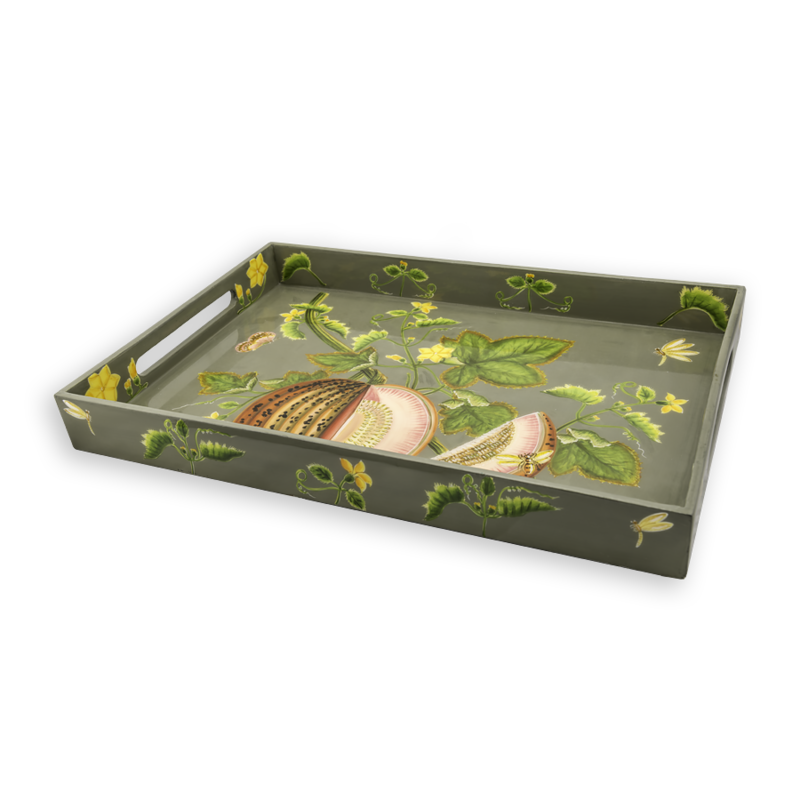 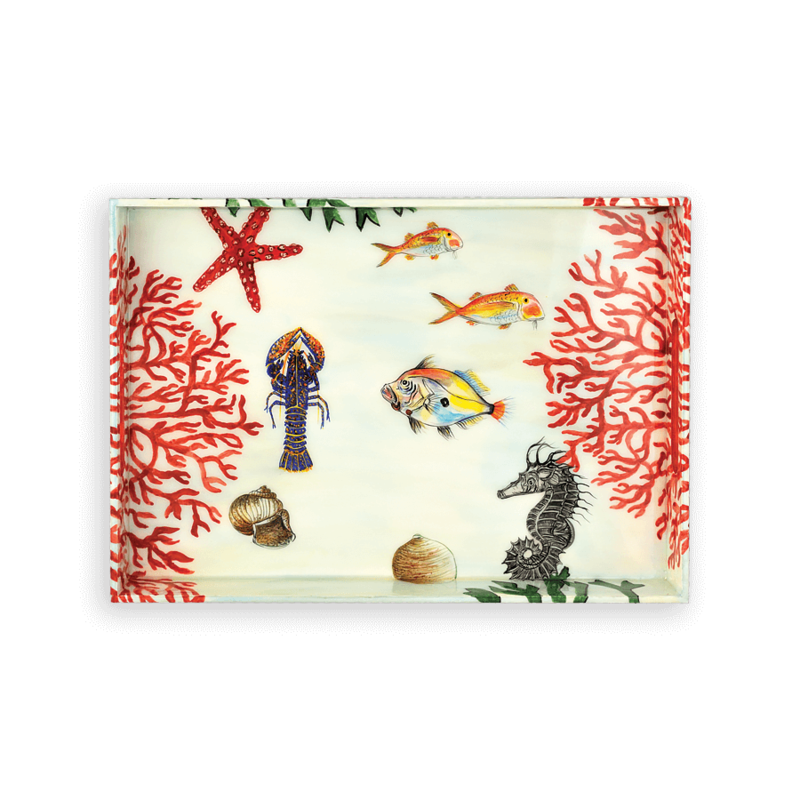 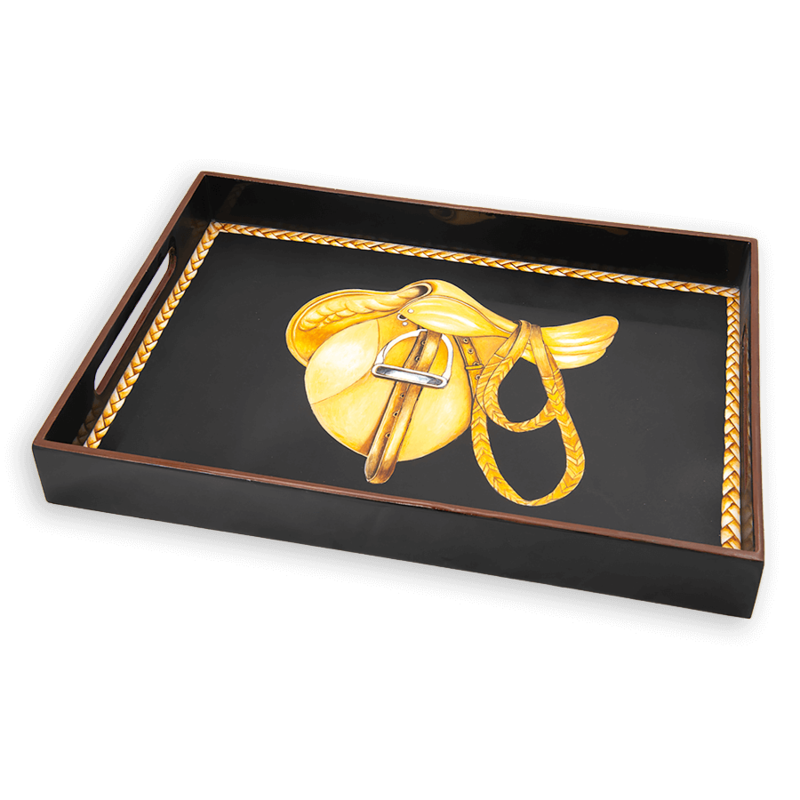 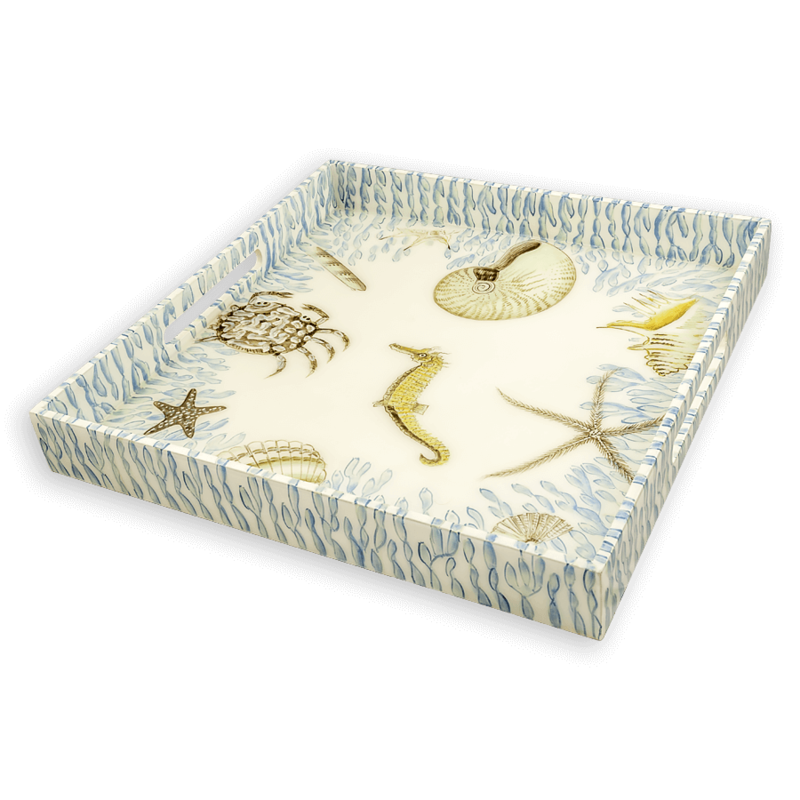 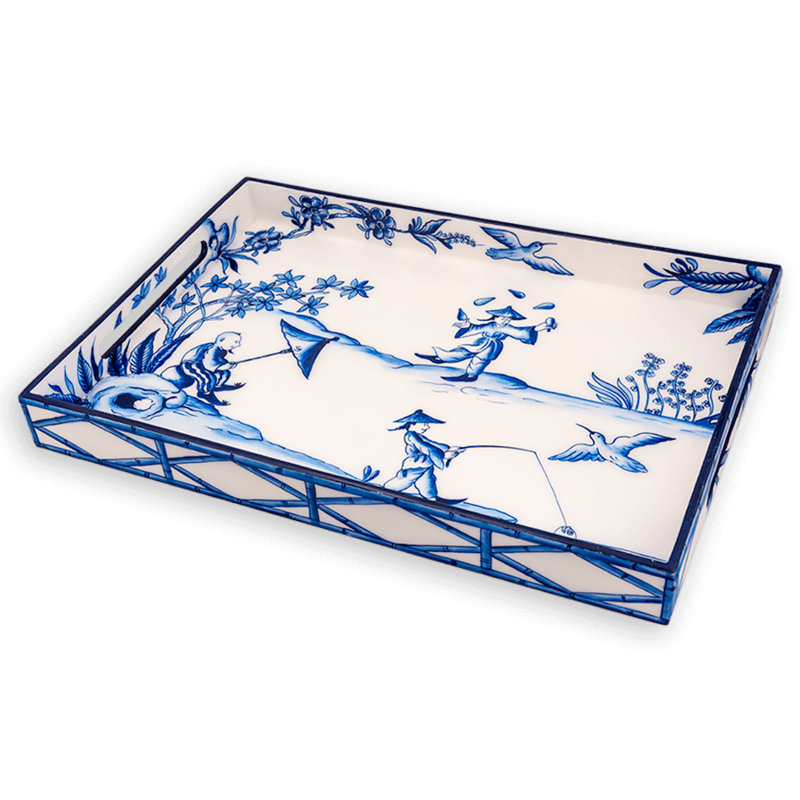 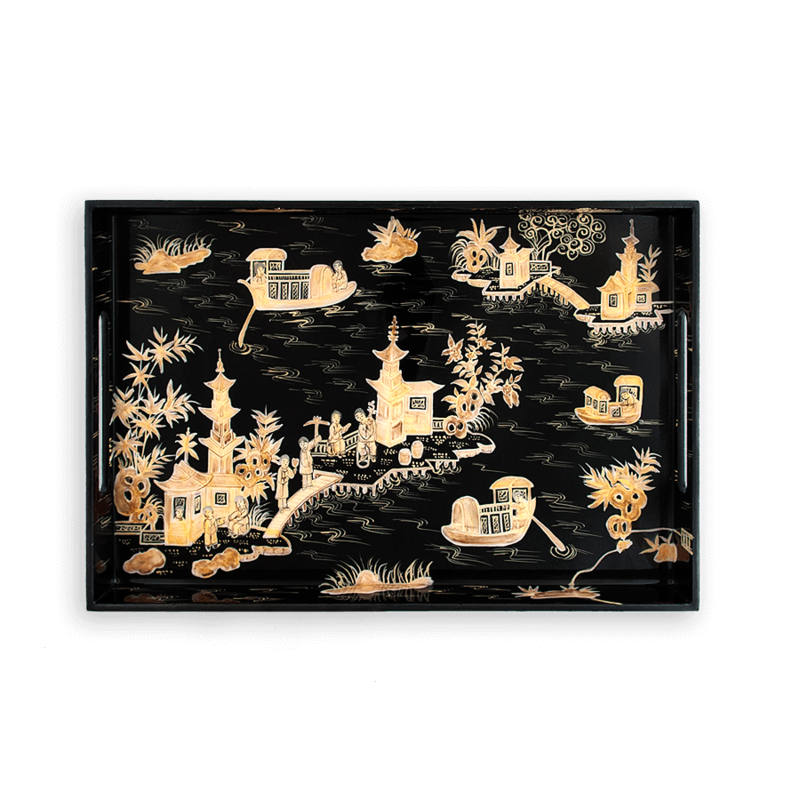 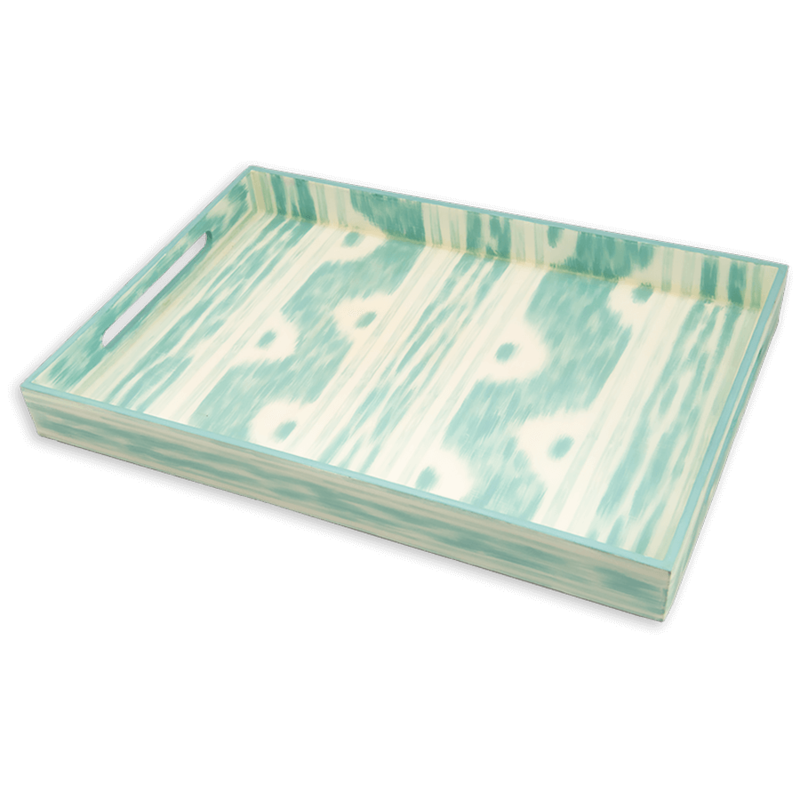 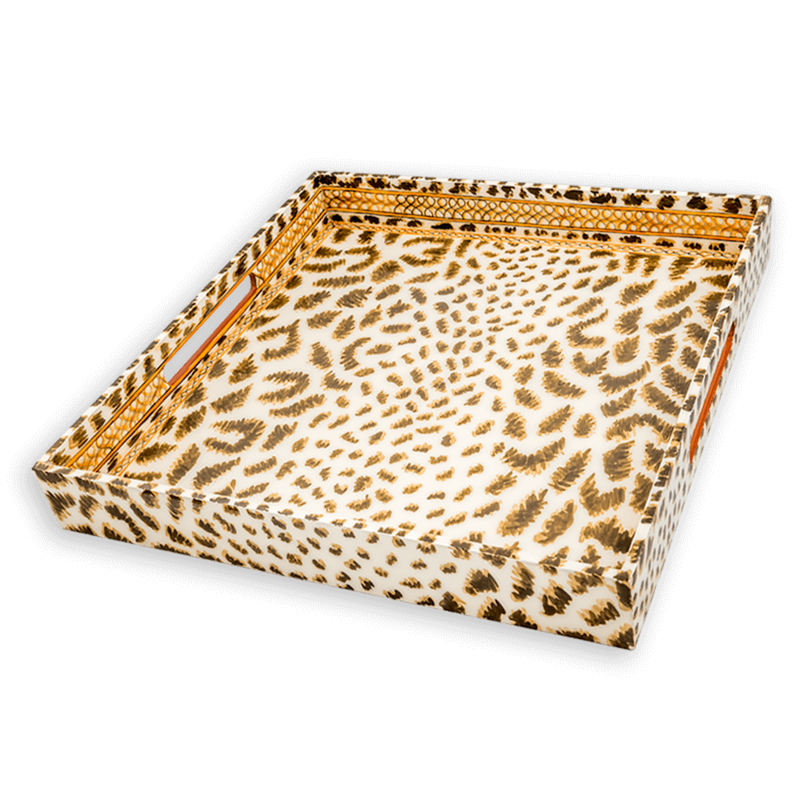 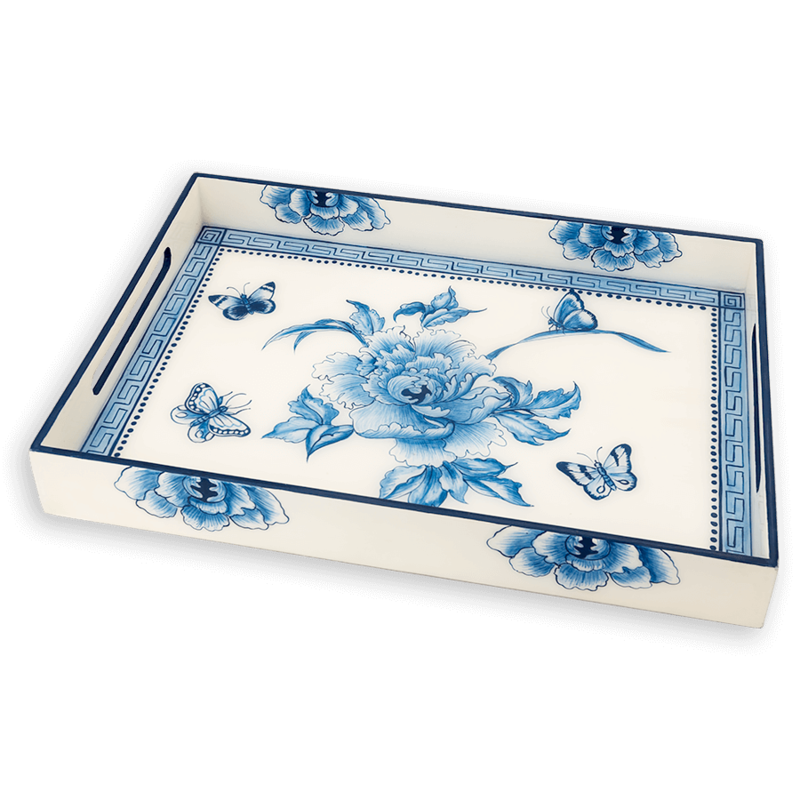 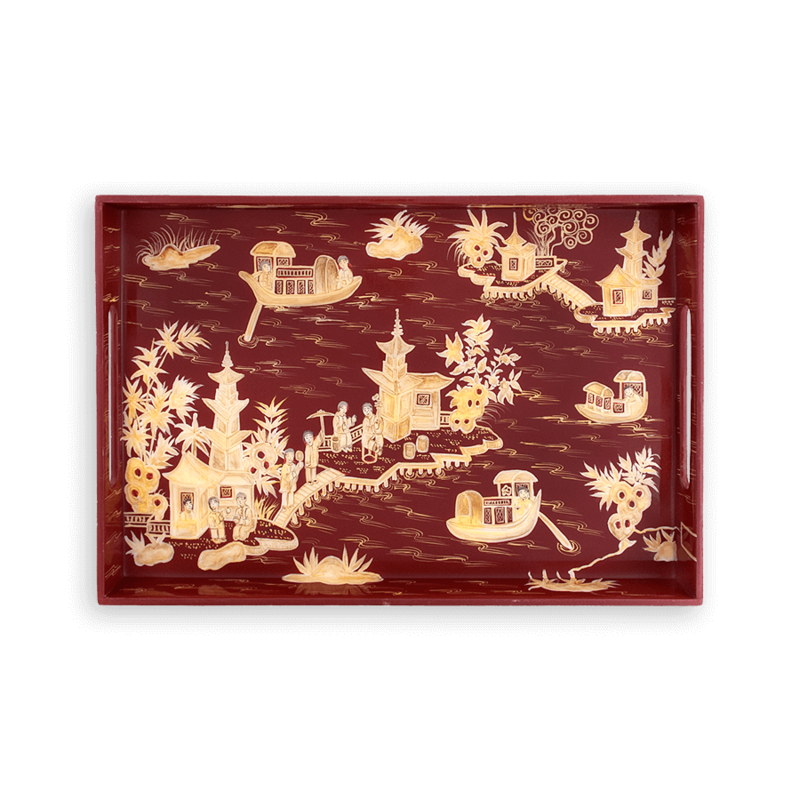 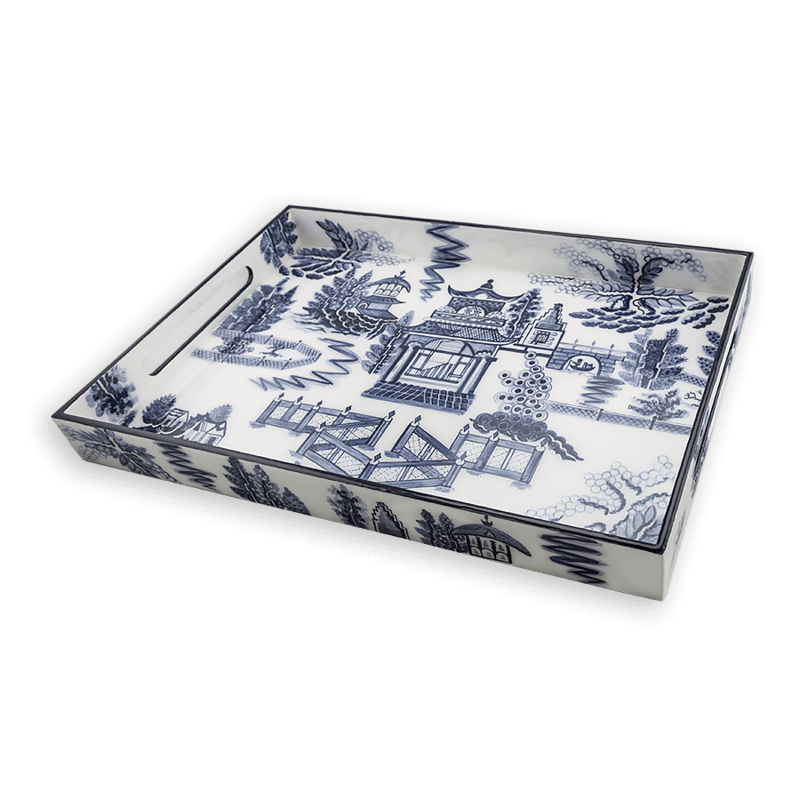 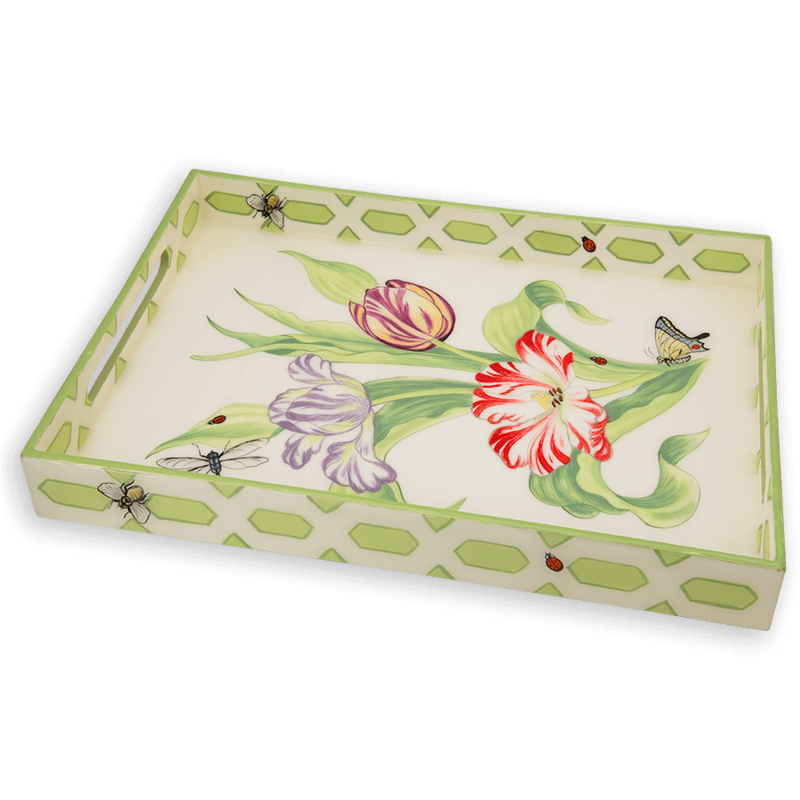 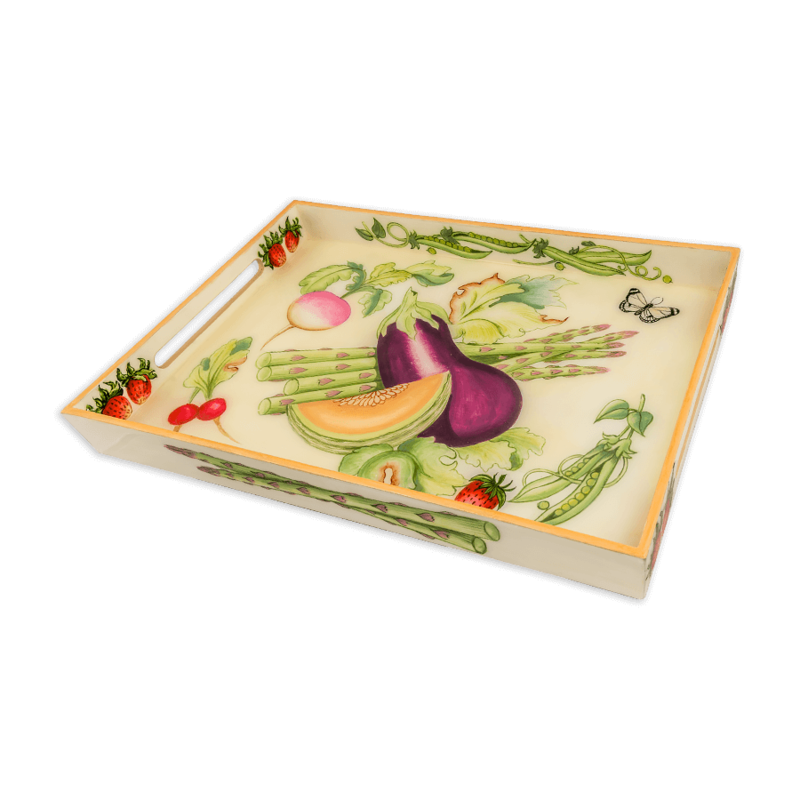 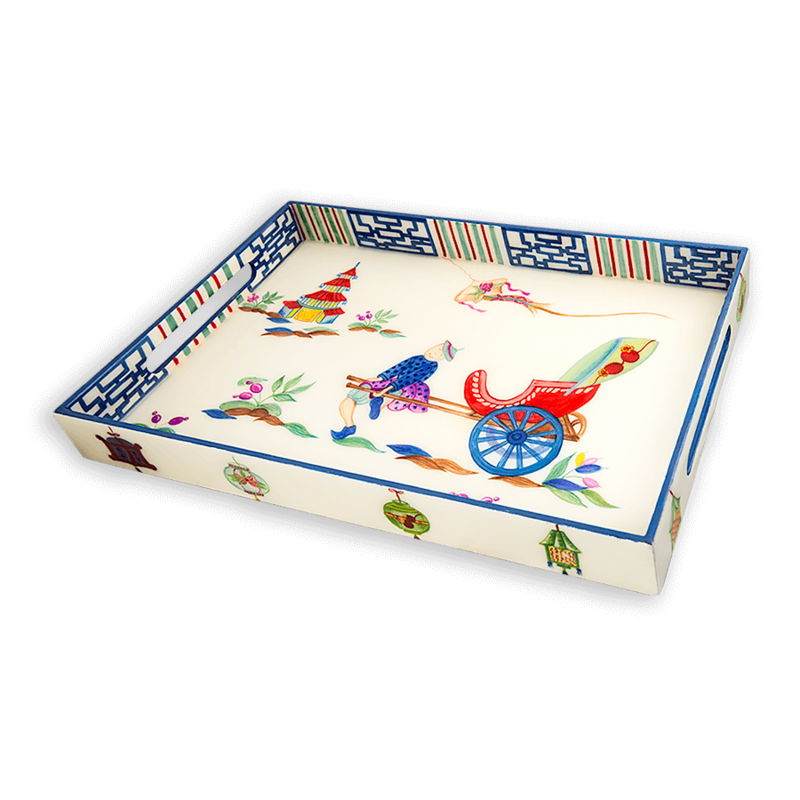 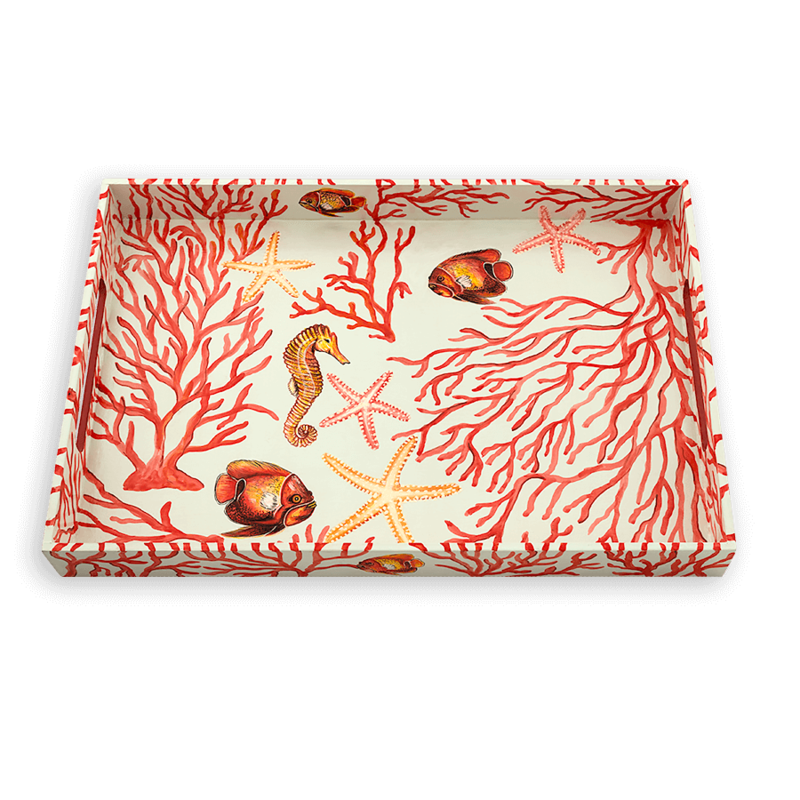 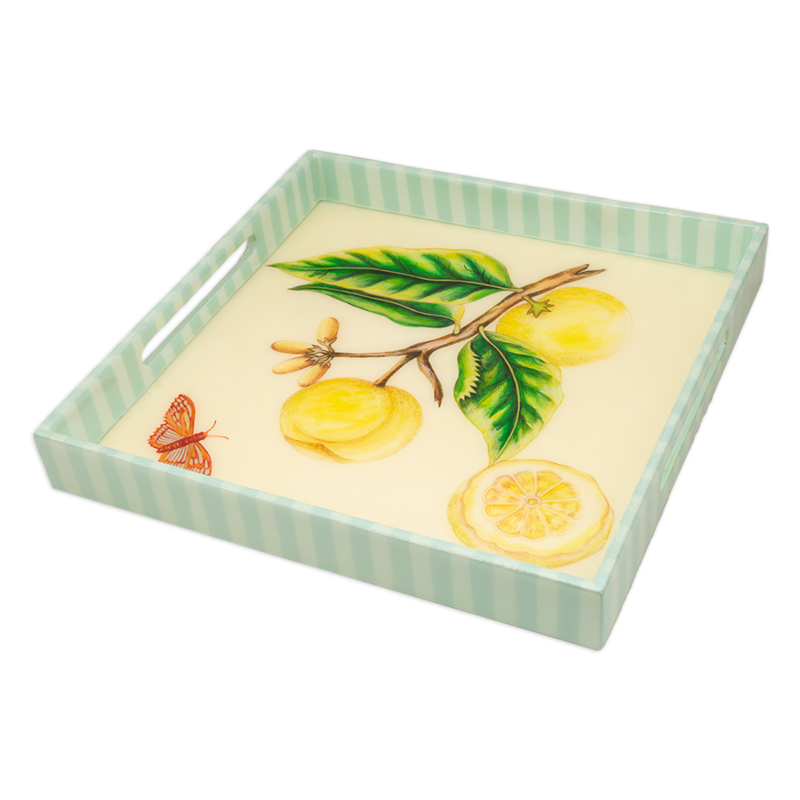 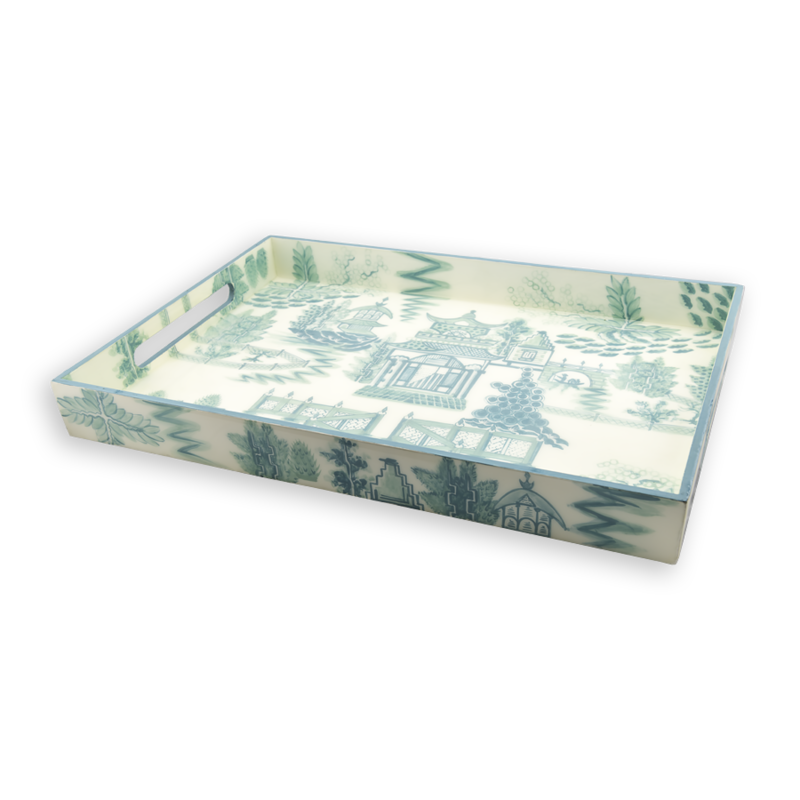 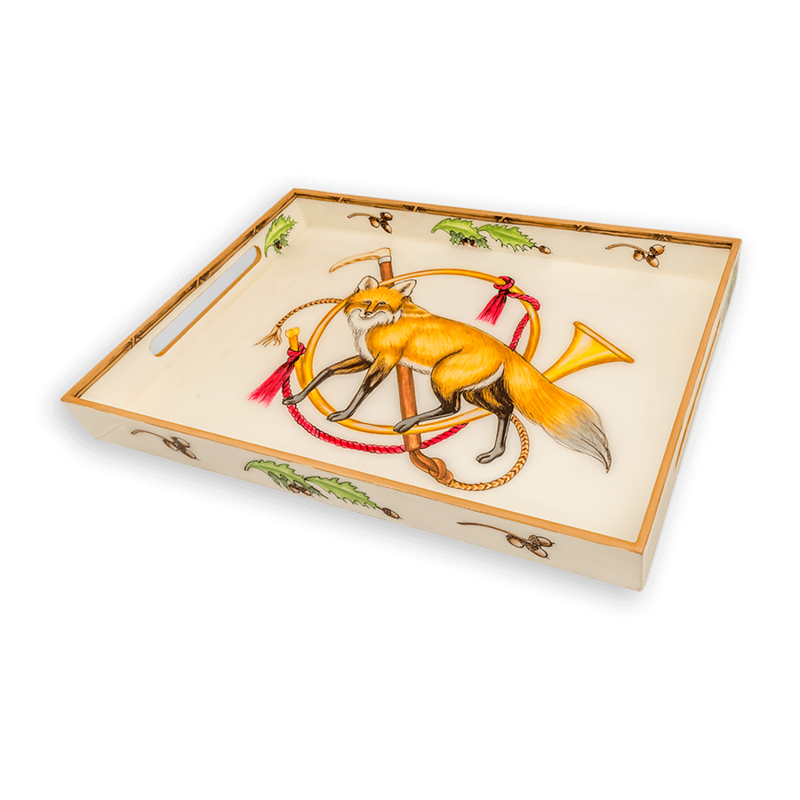 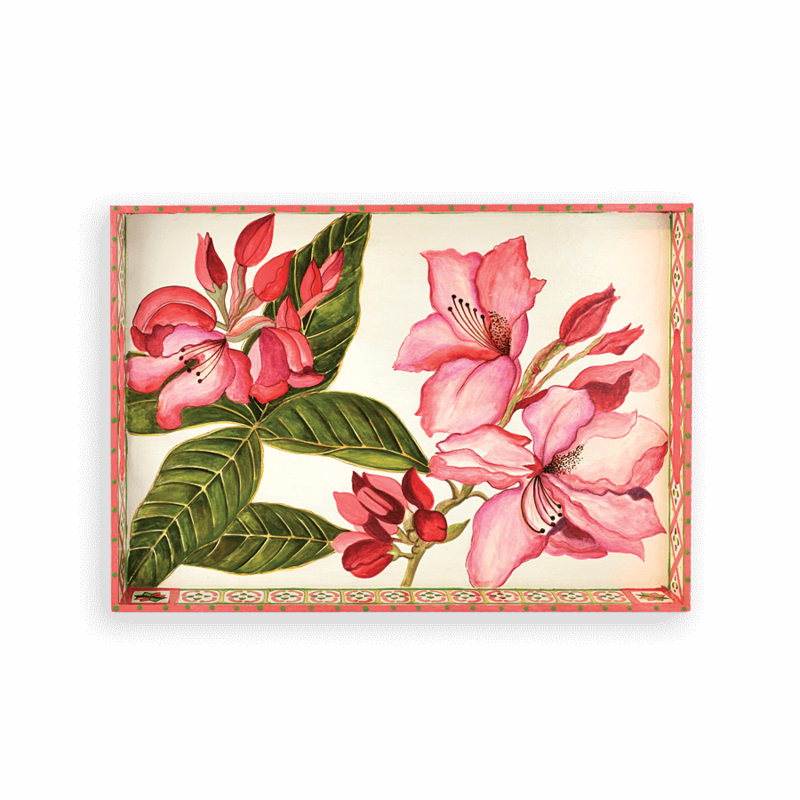 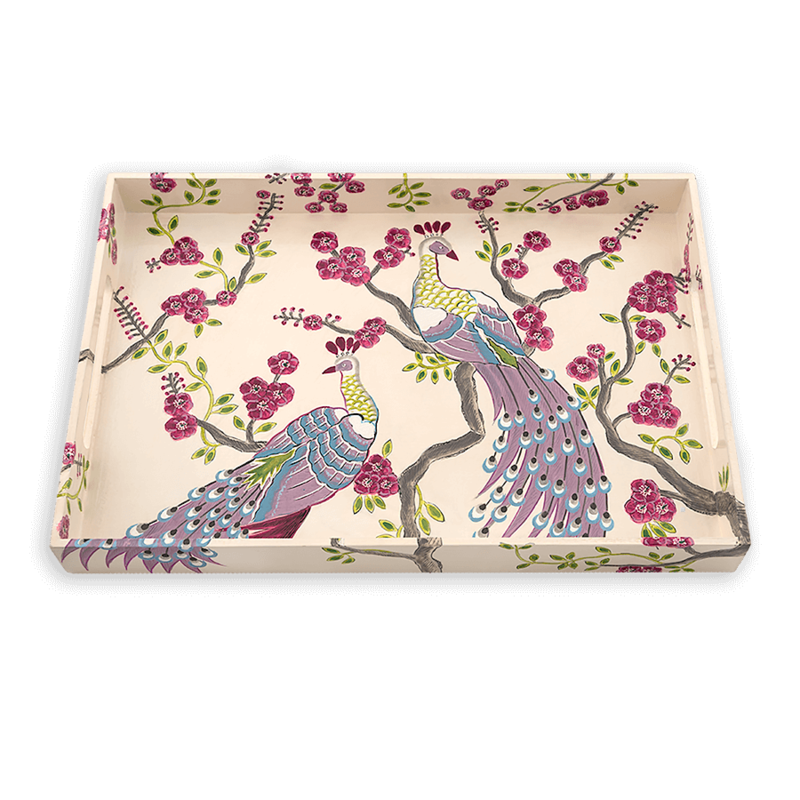 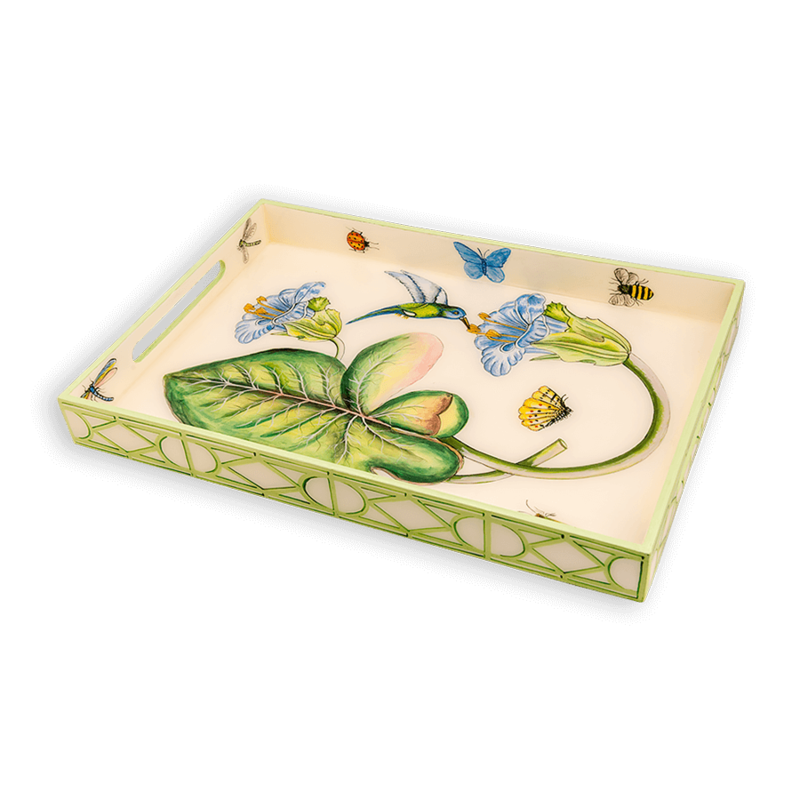 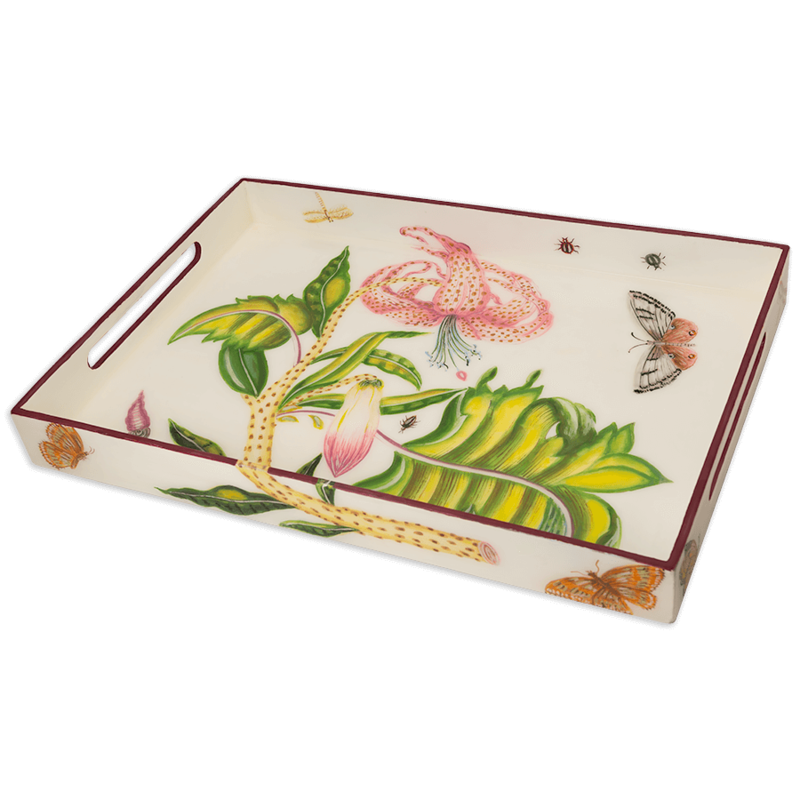 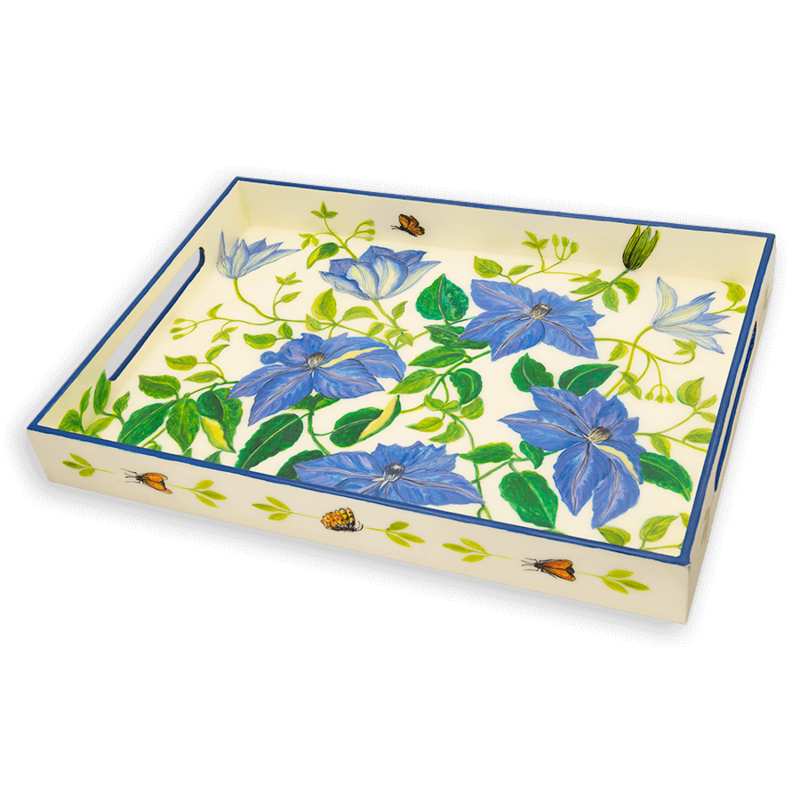 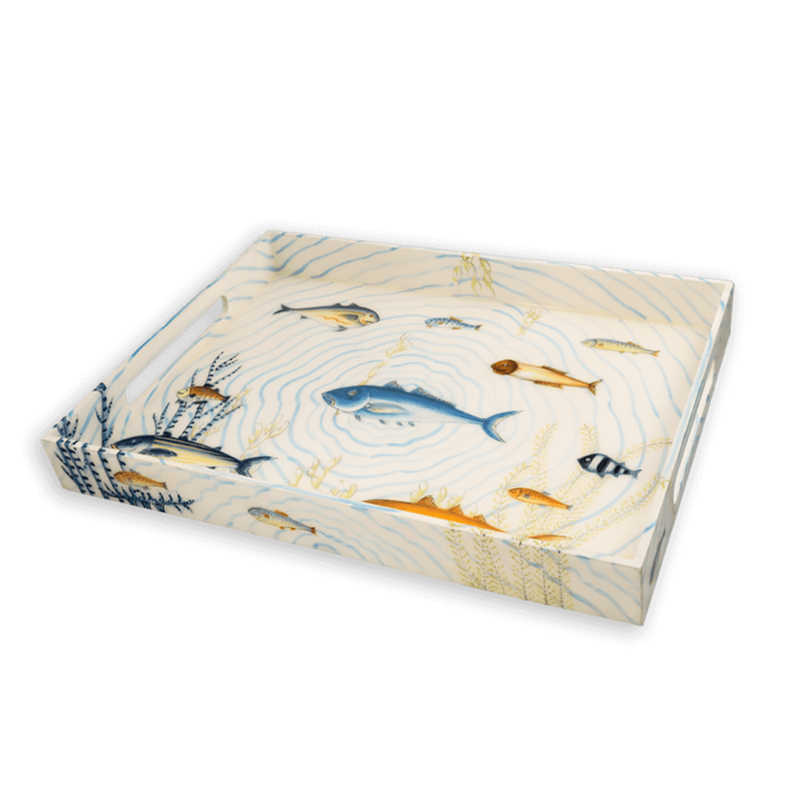 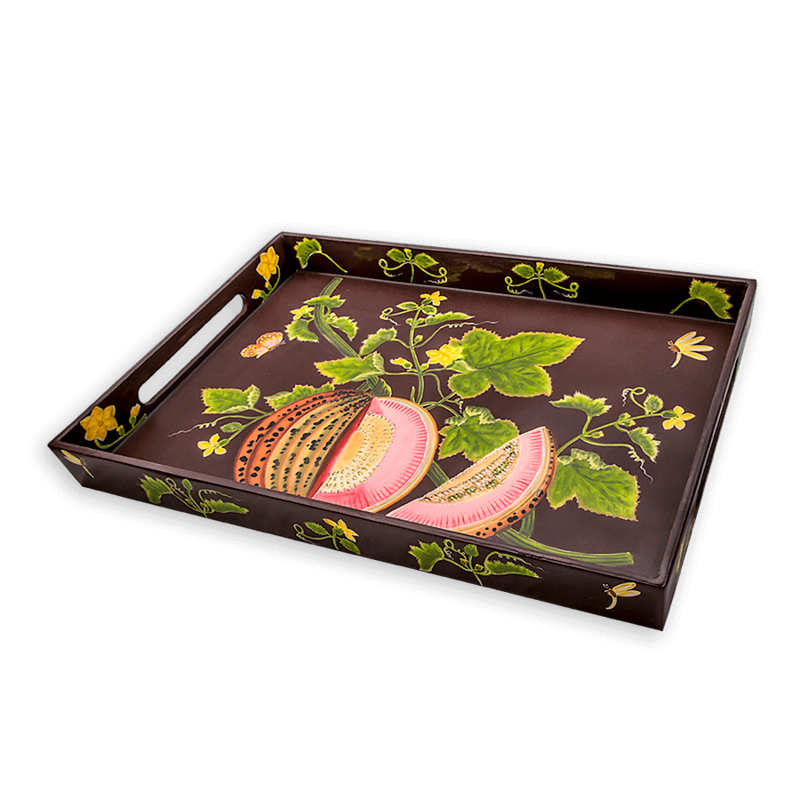 Our lacquer trays consist of a sturdy wooden base and, like our tole trays, are all individually painted by hand by skillful artisans. 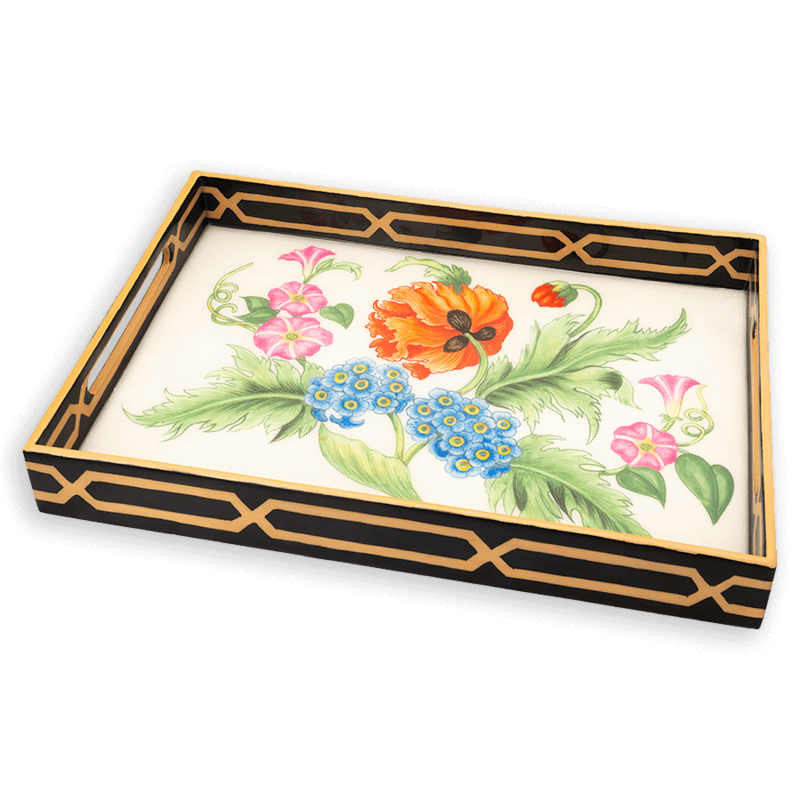 Then multiple coats of lacquer are applied successively to the trays, which create a depth of color and an elegant finish. 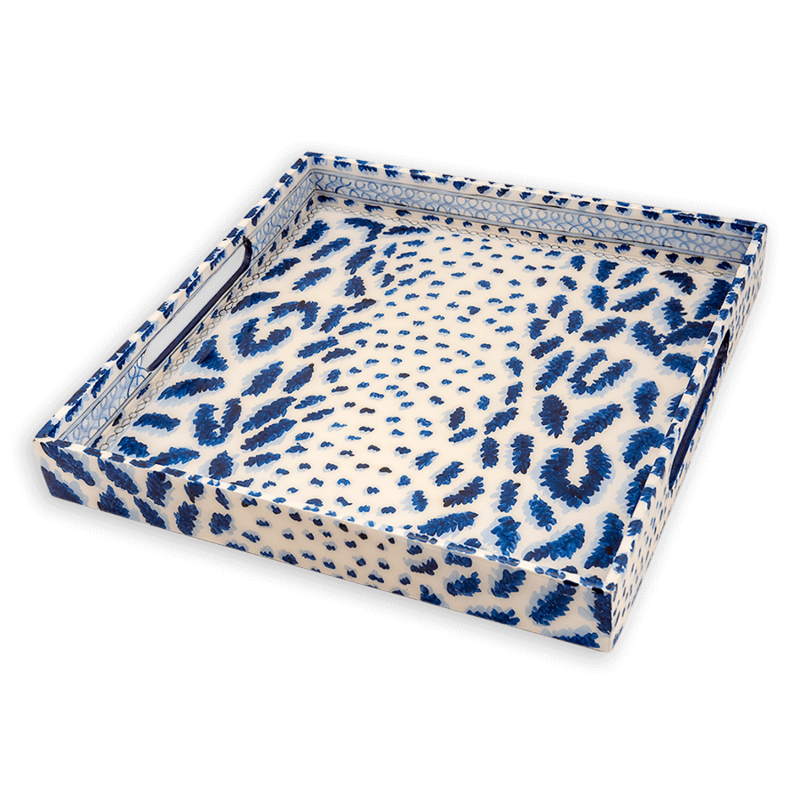 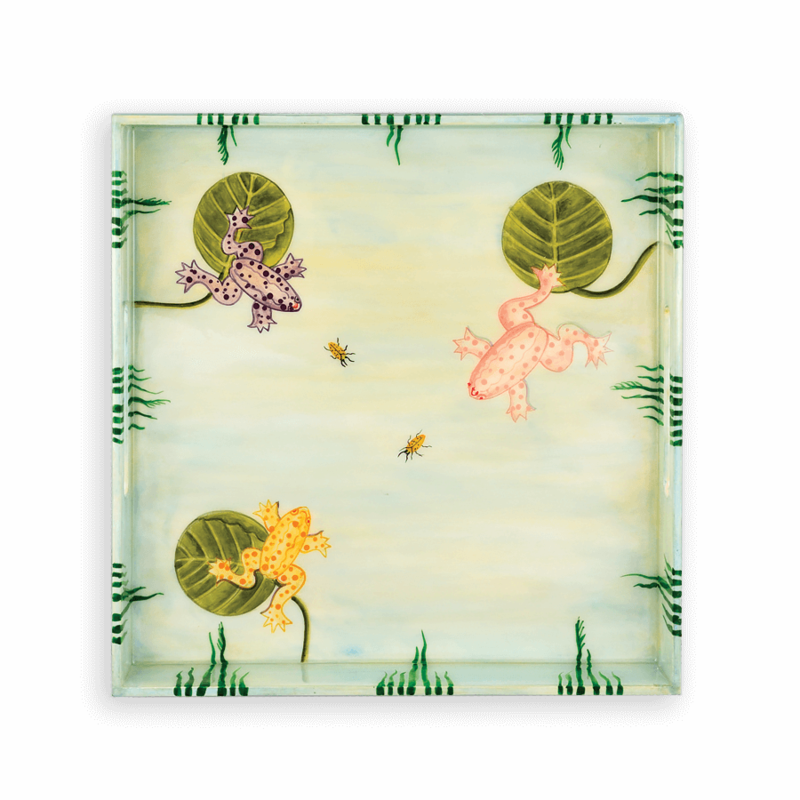 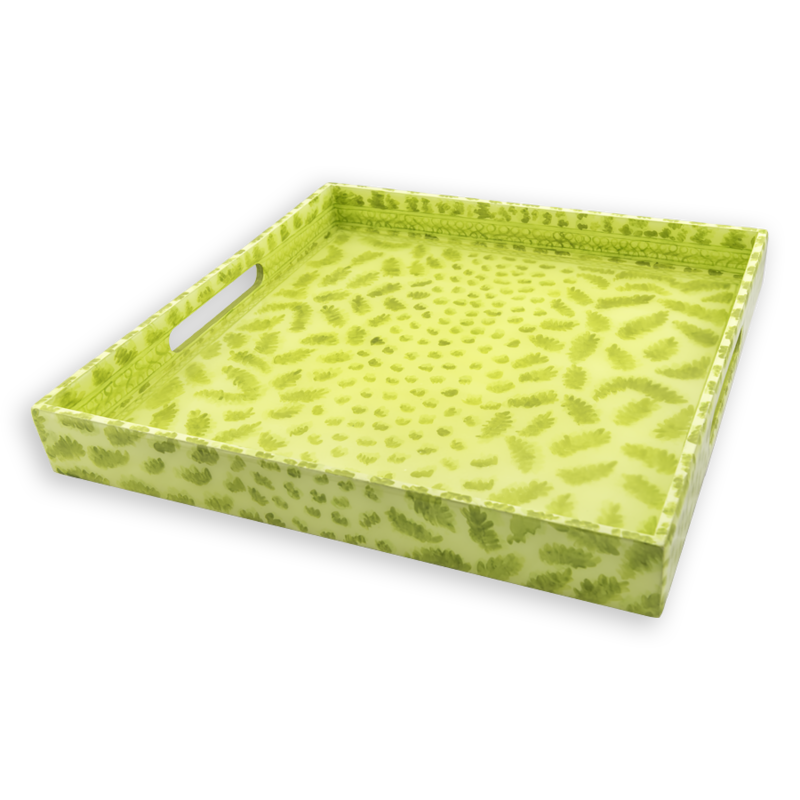 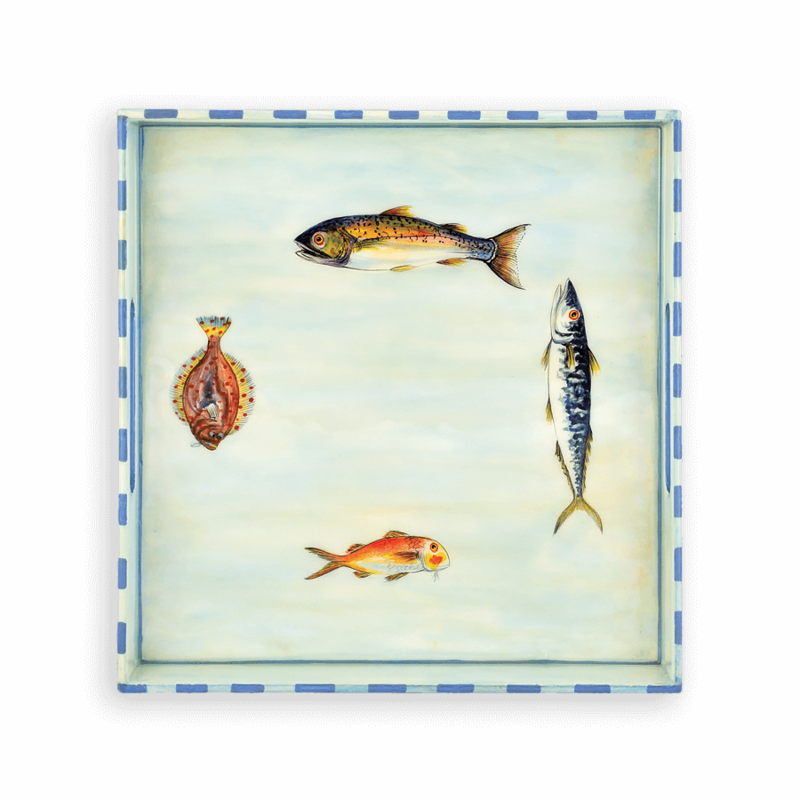 The square trays measure 15″ x 15″, and the rectangular ones measure 14″ x 20″. 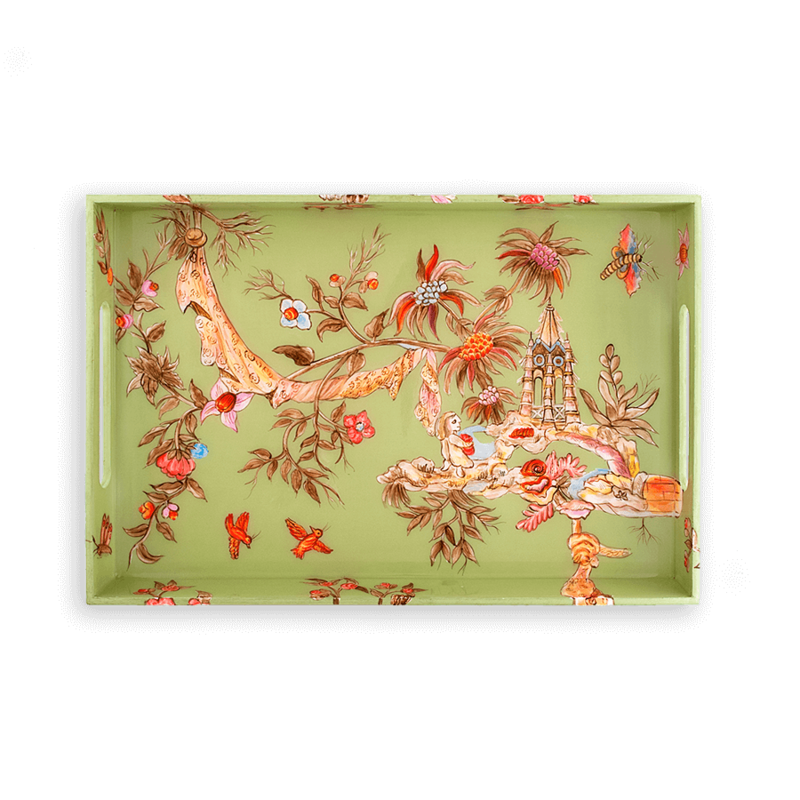 The varying angles of the images on this page may give the illusion of the trays being different sizes.